The Veterinary Information Network (VIN) is the world's first and largest online veterinary community. 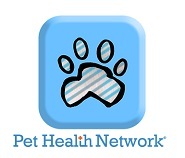 Search for almost any topic regarding your pet and receive reliable information. Thank you for your continued support and all your great reviews!